As most of you will know, both North & North East blocks have gone. (I'll nick most things, but not them). South and South East blocks have had most of the equipment removed. I'm hoping to visit soon, have a walk round wherever I can get into and take photos. These I will publish here for the eternally sad. (me). These pictures were taken by Jay Vadukal, who was on a very cheap day trip that ended up on the 3rd floor SE block. 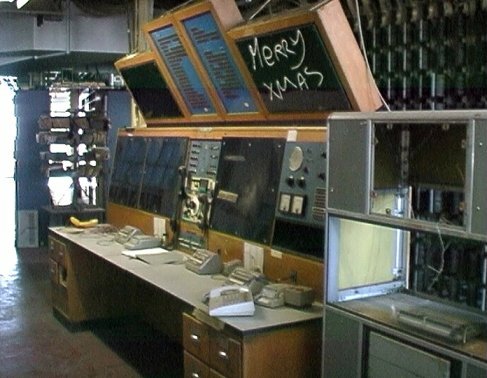 Where Len Faulkner's desk would have been, and just as tidy. Looking at where PCM would have been. You can just see Wiggy going out the door on a nip ! 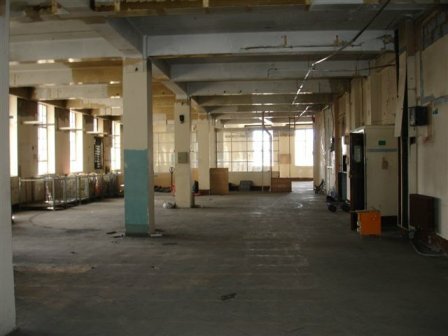 On this day, I was fortunate enough to be allowed access to the building for a look round. Not being BT anymore has disadvantages. 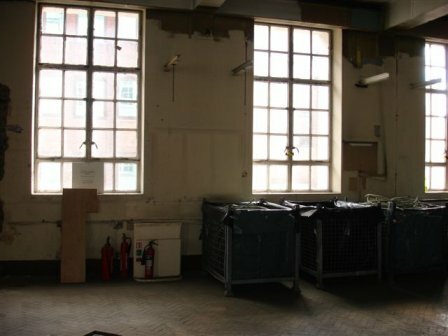 Most of the building has been or is about to be refurbished (at considerable cost) but some bits are still there. I took a few photos, not too many. 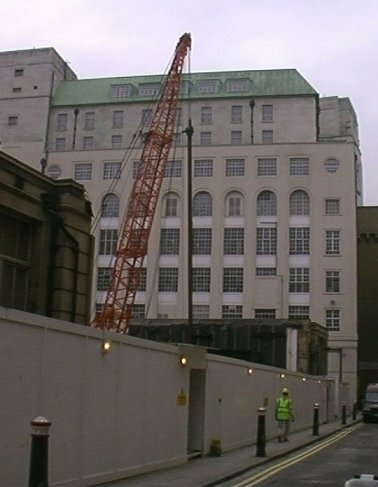 The view towards Wren House, showing the almost complete demolition of the North and North East blocks. One the 3 remaining parts of the original blocks left in place while they relocate access points to the deep level. 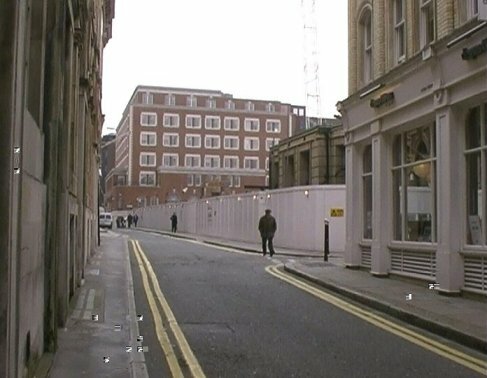 The new access points will be part of the new hotel complex. South Block in all its splendour. Cleaned up and now housing the new main entrance to the remaining buildings. 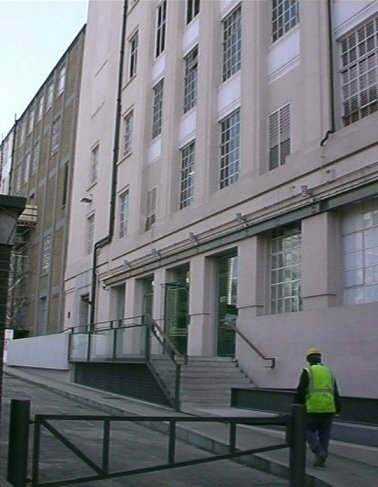 The new reception area, the green doorway gives access to the lift lobby and the first floor South East Block. 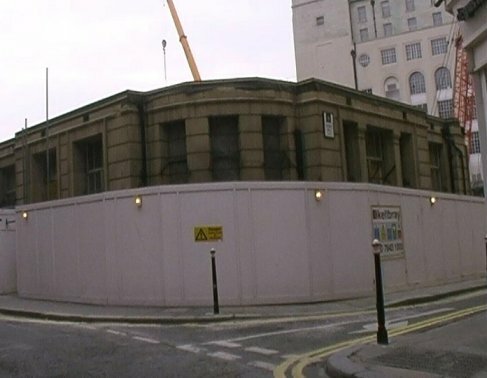 Once inside, the building has been repaired, cleaned and repainted, a major change to the old days. Continuing work meant that I couldn't get into some areas, the tunnels from the ground floor into North East Block have been blocked off after all the cabling had been removed. 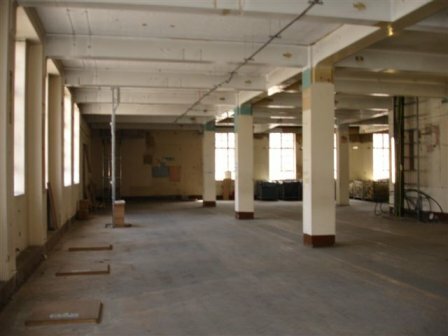 The frame room is still there in South Block, and a lot of equipment remains on 3rd floor South Block. 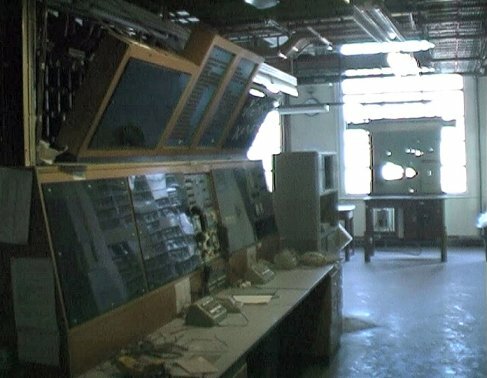 The repeater station is just dusty, as shown in the two pictures of the console. The carousel to one side was full of cards, the 'merry xmas' sign and lack of people made it feel a bit like the Marie Celeste, or a normal rota boxing day. There were a few dockets on the SFC that were outstanding, I marked them as 'day staff to deal' and put them back in the pigeonhole. Just like a good rota man. I'm sure I glimpsed Pete Wynne going into the locker room to put the kettle on, but it could have been caused by the small tear in my eye, brought on by the dust (!). The literal highlight of the walk round was a visit to the South Block roof. Even that has been cleaned up. 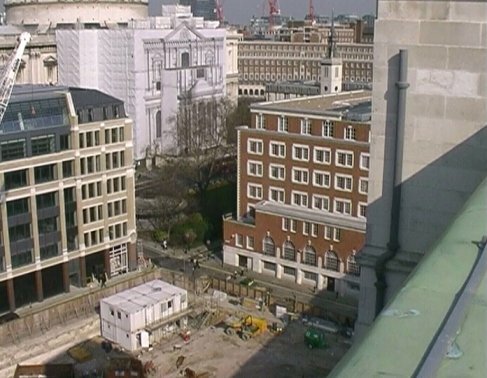 From there I could look down on the building work below, and out over London, something that I probably won't get to do again from that vantage point unless BT start doing guided tours like the ones at Buckingham Palace. I suppose I should enter that in the New Ideas scheme (if it's still going) as it could be a nice little earner. They'd have to widen the stairway, as I could only just get my Travolta-esque hips up them ! In the distance, I could see Mondial House, itself under threat of renovation, though (apparently) the river side facia might be staying. 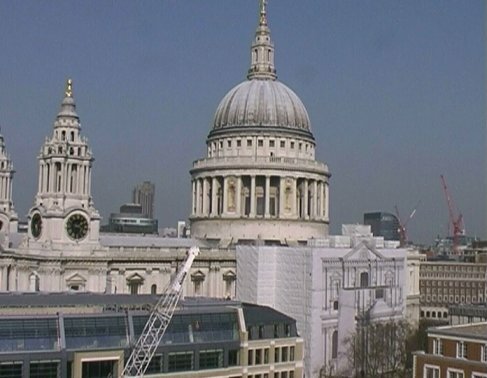 They've got plastic sheeting up over St Pauls. When they put plastic sheeting up on Faraday, look what happened. Another hotel ? 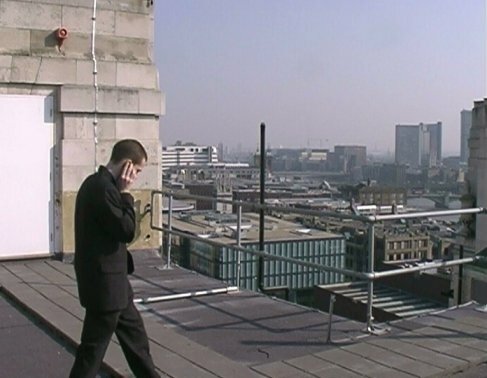 Once finished on the roof, and even on a cold sunny day it was a wrench to leave it, I was taken to 5th floor South East Block, once home to the canteen, bar and video club. That's all gone, and in its place is open plan work areas, touchdown points and Nick Gondolo. Apparently, they can't move him, he's in original floorplans and Grade One listed. My thanks to my guide, who can't be named as I don't want everyone ringing him asking for a tour, but you know who you are ! And then I went home. Via a meeting of the retired colleagues association.